It’s a long way from the Dominican Republic to Canada, but Josh Chalom, State General Agent in Ontario, made the transition with ease. Josh owned and operated swimwear boutiques in the Dominican Republic before joining American Income Life Insurance Company. His cousin was a successful SGA for American Income Life in Los Angeles and convinced Josh to make the change to AIL. Since joining American Income Life, Josh successfully set up and ran offices in Los Angeles, San Diego, and Las Vegas prior to coming to Ontario, where he became the second person licensed with AIL in eastern Canada. Josh donates his works of art to charity auctions and many hospitals in Canada. State General Agent Byron Paz was born in Guatemala City, Guatemala, and moved to Ontario, Canada, in 2000. 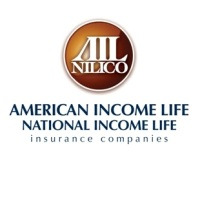 He has been with American Income Life since 2003 when he was only 20 years old. Byron was enticed to join American Income Life because he loves serving and helping Agents reach their goals. Byron knows American Income Life products help people and he’s seen the positive effects firsthand. After a year with the Company, Byron experienced the death of a client. He witnessed how beneficial American Income Life products were for the client’s family. “Being there for them through the claims process and seeing how fast we responded to the family solidified my career with American Income Life. I knew I wanted to continue making a difference in the lives of the families we get to serve,” Byron says. In his free time, Byron loves playing soccer or spending time with his wife and daughter. He is passionate about traveling the world and has gotten to travel to Europe on three occasions, thanks to American Income Life. Byron is actively involved with a young adult ministry through his church. “My Agency offers career opportunities for individuals who seek a rewarding and challenging career in leadership and sales. The more families we protect, the more of a positive impact we make on our local economy,” Byron says.